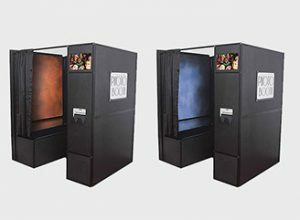 Based in New York City, Giant Games and More is committed to being the best provider of photo booths in the tri-state area. Let us provide the FUN for your next event. We service schools, camps, corporate events, fundraisers, weddings, large parties, bar/bat mitzvahs. Our photo booths along with our fun games make any event memorable. High-quality photography sets us apart from other photo booth companies. Giant Games and More has emerged as a top photo booth rental company in NYC and the surrounding areas. Our photo booths were designed by an award-winning professional photographer. Our booths are one of the few to have a bench at all. No joke. There are nearly zero booths for sale that actually offer a bench. A lot of photo booth websites simply do not show the inside of the booth, and unsuspecting people assume there is a bench inside the tent. Others will show photographs of chairs that are not actually included in the price. DJ, MCs, Live Bands, Photo Booth, Wedding, Carnival Games, Magicians, Team Building, Balloon Decor, and Catering.